Glankler Brown, PLLC has long been part of the fabric of a storied city and the region it serves as capital of culture and commerce. The work of our attorneys has supported the growth of its citizens and its industry, its art and legacy, its health and progress. Across all that time and through all that experience – in the course of building an almost legendary reputation in litigation, in the process of earning the kind of respect in more than 30 areas of law that only results can bring – there has been one common thread in that fabric. We strive to provide every client thorough knowledge of the law, uncompromising professionalism, steadfast determination, and timely, meaningful and measurable response. Our continuing success is in large measure due to our dedication to those principles. So are our enduring relationships with clients such as the City of Memphis, Memphis-Shelby County Airport Authority, Elvis Presley Enterprises and Sun Trust Bank to name but a few. RECOGNIZED. IN MEMPHIS, ACROSS THE COUNTRY, AROUND THE WORLD. Based in Memphis, Tennessee, Glankler Brown attorneys represent clients across a wide spectrum of business and personal issues throughout the United States and abroad. In addition to Tennessee, we have attorneys licensed in Mississippi, Arkansas, Alabama, Georgia, New York, Illinois and Maryland, as well as Washington, D.C. We are, at heart, a local firm, but we have far-reaching regional, national and international capabilities. 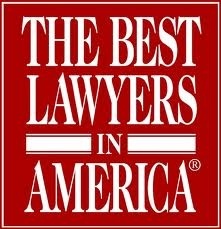 Our firm and many of our attorneys have received the highest rating for legal ability and ethical standards by Martindale-Hubbell, and several Glankler Brown members are listed in The Best Lawyers in America. The firm has received honors from U.S. News & World Report (Best Law Firms Rankings), Corporate Board Member magazine, Chambers & Partners USA Leaders in their Fields, and Business TN magazine’s Top 150 Lawyers and Top 150 CRE (top 150 most influential people in Commercial Real Estate). Several of our attorneys are members of the American College of Trial Lawyers, the American College of Estate Planning Counsel and the American College of Real Estate Lawyers.